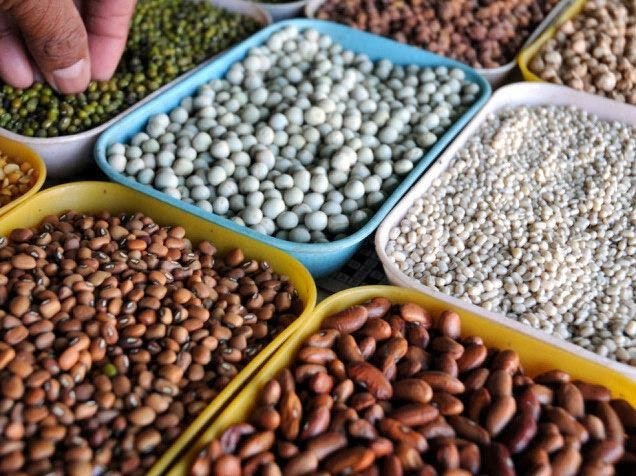 Agri Forum Pakistan (AFP) Dr Muhammad Ibrahim Mughal has alleged that traders of pulses intend to earn Rs6 billion unjustifiable profit by increasing their prices from Rs15 to 25 per kilograms despite production of 600,000 tons of different pulses including grams, masoor and mash. In a statement issued on Friday, Mughal that 100 million people of Pakistan are living under the poverty line. The traders of pulses seeing the cartels of flour millers but vegetable and fruit sellers had joined hands and increased the pulses price. He said that a ‘Daal Plate’ at roadside hotels is now being sold at Rs50 per plate, which was earlier available at Rs30 per plate. ‘Poor people can only see flour, vegetables, pulses and fruits but cannot eat and purchase these commodities,’ Mughal said. He said that gram crop was purchased from its growers by the traders in May at the rate of Rs38 per kilogram was now being sold at Rs80 per kilogram thus minting 100 per cent profit by traders and shopkeepers. He said that recent increase in the prices of all the daily use items reflect that government’s grip is weakening day-by-day and if the situation is not tackled at the earliest then this hike would not only result in increase in suicides but would force the masses to come on roads for protection of their rights. Agri Forum Chairman proposed that the government should help the growers for producing one million tons of grams, 200,000 tons of masoor and 200,000 tons of mash pulses in the country. Government should take steps to check the hoardings and profiteering to ensure provision of these daily use items to the poor on affordable rates, he added.